Charles Burnett (/bɜːrˈnɛt/; born April 13, 1944) is an American film director, film producer, writer, editor, actor, photographer, and cinematographer. His most popular films include Killer of Sheep (1978), My Brother's Wedding (1983), To Sleep with Anger (1990), The Glass Shield (1994), and Namibia: The Struggle for Liberation (2007). He has been involved in other types of motion pictures including shorts, documentaries, and a TV series. Considered by the Chicago Tribune as "one of America's very best filmmakers" and by The New York Times as "the nation's least-known great filmmaker and most gifted black director", Charles Burnett has had a long and diverse filmmaking career. Charles Burnett was born on April 13, 1944 in Vicksburg, Mississippi, to a nurse's aide and a military father. According to a DNA analysis, he is descended, mainly, of people from Sierra Leone. 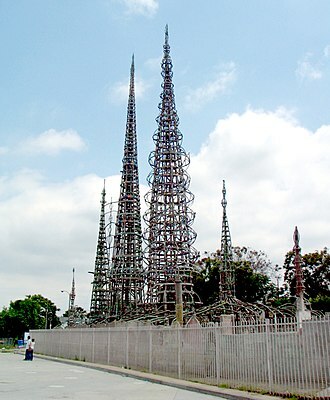 In 1947, Charles's family moved to Watts, a largely black neighborhood in South Los Angeles. 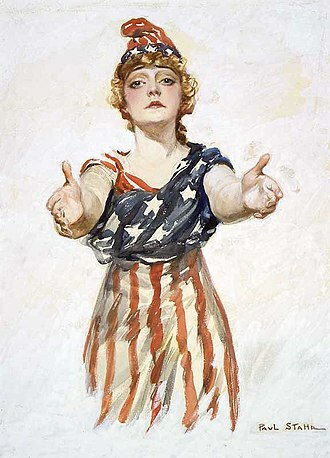 Although Burnett was interested in expressing himself through art from a young age, the economic pressure to maintain a stable job initially kept him from pursuing film or art in college. The neighborhood of Watts had a significant effect on the life and the work of Charles Burnett. The community, which gained notoriety in 1965 when violent riots in the area caused the deaths of 34 people and injured more than 1,000, again made the news in 1992 when protestors turned to looting and arson following the acquittal of police officers tried for the beating of Rodney King. 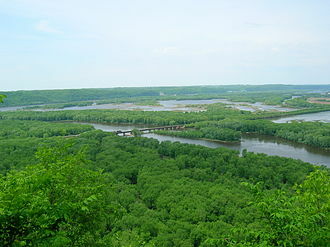 Burnett has said that the neighborhood had a strong Southern influence due to the large number of Southerners living in the area. The Watts community strongly influences the subject matter of his movies, which often revolve around southern folklores mixed with modern themes. His film Killer of Sheep was set in the Watts neighborhood. Charles Burnett first enrolled at Los Angeles City College to study electronics in preparation for a planned career as an electrician. Dissatisfied, he took a writing class and decided that his earlier artistic ambitions needed to be explored and tested. He went on to earn a BA in writing and languages at the University of California, Los Angeles. Burnett continued his education by enrolling in the UCLA film school for a Master of Fine Arts degree in theater arts and film. His experiences at UCLA had a profound influence on his work, and the students and faculty he worked with became his mentors and friends. Some fellow students include filmmaking greats like Larry Clark, Julie Dash, Haile Gerima, and Billy Woodberry. The students' involvement in each other's films is highlighted by Burnett's work as a cinematographer for Haile Gerima's 1979 movie Bush Mama, as a crew member for Julie Dash's 1982 Illusions, and as a writer and cameraman for Billy Woodberry's Bless Their Little Hearts. His professors Elyseo Taylor, who created the department of Ethno-Communications, and Basil Wright, a British documentarian, also had a significant influence on Burnett's films. The turbulent social events of 1967 and 1968 were vital in the establishment of the UCLA filmmaking movement that would be dubbed the "Black Independent Movement”, a movement Burnett was highly involved in and influenced by. The films produced by this group of African and African American filmmakers had a high relevance to the politics and culture of the 1960s, yet stayed true to the history of their people. Their film characters shifted from the middle class to the working class to highlight the tension caused by class conflict within African American families. The independent writers and directors strayed away from the mainstream and won critical approval for remaining faithful to the true African American history. Another accomplishment of the Black Independent Movement and Charles Burnett was the creation of the Third World Film Club. The club joined with other organizations in a successful campaign to break the American boycott banning all forms of cultural exchange with Cuba. Many critics have compared the films of the Black Independent Movement to Italian neorealist films of the 1940s, Third World Cinema films of the late 1960s and 1970s, and the 1990s Iranian New Wave. At the time the movement flourished, many countries in the Third World were involved in a struggle for revolution, a concept inspiring them to take it into their own hands to create films appropriately expressing their own indigenous views of their history and culture. In addition to staying true to history, many of the films of the Black Independent Movement have been considered to be a response to the White Hollywood and Blaxploitation films that were popular at the time. Charles Burnett's earliest works include his UCLA student films made with friends, Several Friends (1969) and The Horse (1973), in which he was the director, producer, and editor. Charles Burnett's first full-length feature film Killer of Sheep was written for his UCLA master's thesis. The black and white film took Burnett five years to finish, apparently due to the imprisonment of one of the film's actors. The low-budget film was finally released to the public in 1978. The cast consisted mainly of his friends and film colleagues and was filmed primarily with a handheld camera, seemingly in documentary style. The main character was played by Henry G. Sanders, a Vietnam veteran who had studied cinema at Los Angeles City College and was enrolled in several classes at UCLA as well. Since his performance in the movie, Sanders has gone on to a career in films and TV, including roles in Rocky Balboa, ER, Miami Vice, and The West Wing. The lead female character in Killer of Sheep was played by Kaycee Moore, who later went on to act in former UCLA classmate Julie Dash's film Daughters of the Dust. The story follows the protagonist Stan, a slaughterhouse worker, who struggles to make enough money to support his family. According to the film's website, the movie “offers no solutions; it merely presents life”. Killer of Sheep revolves around rituals, in the family, childhood, oppression, and resistance to oppression. The soundtrack of ballads, jazz, and blues includes artists Faye Adams, Dinah Washington, Gershwin, Rachmaninov, Paul Robeson, and Earth Wind & Fire. The film was only screened occasionally because of its poor 16mm print quality and failed to find widespread distribution due to the cost and complexity of securing music rights. It was recently restored by the UCLA Film & Television archive in a new 35mm print of much higher quality. The re-released film won an array of awards including the critics' award at the Berlin International Film Festival, first place at the Sundance Film Festival in the 1980s, then called the USA Film Festival, and a Special Critics' Award from the 2007 New York Film Critics Circle. It was an inductee of the 1990 National Film Registry list. In addition, it was chosen as one of the 100 Essential Films of All Time by the National Society of Film Critics in 2002. Burnett was awarded a Guggenheim Foundation Fellowship in 1981, following the film's completion. Charles Burnett served as the director, producer, director of photography, and screenwriter for My Brother's Wedding. My Brother's Wedding was Charles Burnett's second full-length film, but unfortunately was not released because of a mixed review in The New York Times after playing at the New Directors/New Films Festival in 1983. As in Killer of Sheep, many of the film's actors were amateurs, best shown by his costume designer wife's role in the movie. The role of Pierce Mundy, the protagonist, was played by Everett Silas. In the film Pierce Mundy struggles to choose between his brother's middle-class existence and his best friend's working-class world. The movie was the first feature Burnett shot on 35mm color film. The cost of the film was estimated at $80,000, a small amount by most standards. The movie was acquired by Milestone Films and was restored by the Pacific Film Archive at the University of California, Berkeley and digitally re-edited by Burnett. To Sleep with Anger was Burnett's first higher-budget film, with an estimated cost of $1.4 million. The grant he received from the John D. and Catherine T. MacArthur Foundation helped Burnett support his family while working on the film. The $250,000 grant spread over the course of five years is awarded to gifted individuals to pursue personal projects. The movie was set in South Central LA and followed the same themes of family and southern folklore as in most of his films. The story concerns a lower middle class Los Angeles family that welcomes a guest from the South who overstays his welcome and causes a major disturbance in the family. The instability of the family seems to highlight the larger community's volatility. To Sleep with Anger was Burnett's first film to feature professional actors. The lead actors include Danny Glover, Paul Butler, Mary Alice, Carl Lumbly, and Vonetta McGee. 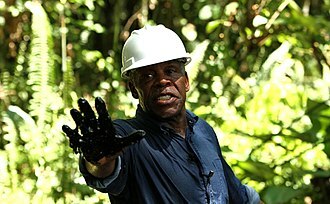 Danny Glover, who plays Harry Mention, agreed to play the main character for a reduced fee and went on to invest in the production. Glover, a box-office favorite known for his role in the Lethal Weapon films, has continued to star in many successful productions including The Royal Tenenbaums, Dreamgirls, 2012, and Death at a Funeral. Although highly acclaimed by critics, To Sleep with Anger did poorly at the box office. Burnett attributes this box-office failure to poor distribution and the industry that he considered void of good taste. The film won many awards, including best screenplay from the National Society of Film Critics (which was the first award of its kind given to an African American writer). Other awards include two Independent Spirit Awards for Best Director and Best Screenplay, the American Film Institute's Maya Deren Award, the Special Jury Recognition Award at the 1990 Sundance Film Festival, a Special Award from the Los Angeles Film Critics Association, nominations for both Burnett and Glover by the New York Film Critics Association. The Glass Shield follows a story of corruption and racism in the Los Angeles Police Department. 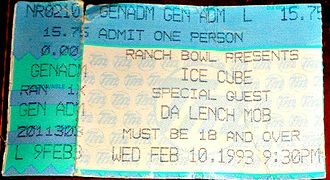 It was Burnett's first film catering to a wider audience, featuring Ice Cube, the rap artist, as a man wrongfully convicted of murder. The protagonist of the movie, JJ Johnson, is played by actor Michael Boatman. The themes of the movie include a strong emphasis on the powerlessness of its African American characters and of the female characters in the movie. JJ Johnson's female police officer, the first in the precinct is forced to deal with sexism both within the police department and outside on the streets. The female officer is played by Lori Petty who went on to become a director herself in the 2008 movie The Poker House. The Glass Shield was nominated for a Golden Leopard award in the 1994 Festival del film Locarno. The film grossed approximately $3,000,000 in the U.S.
Namibia: The Struggle for Liberation follows the story of the country of Namibia's hardships while attempting to win independence from South African rule. The film is based loosely on the memoirs of Namibia's first president Sam Nujoma, who was the former leader of the South West Africa People's Organization SWAPO. The script was written based on Nujoma's autobiography Where Others Wavered and was reported to be a government-commissioned celebration of liberation. 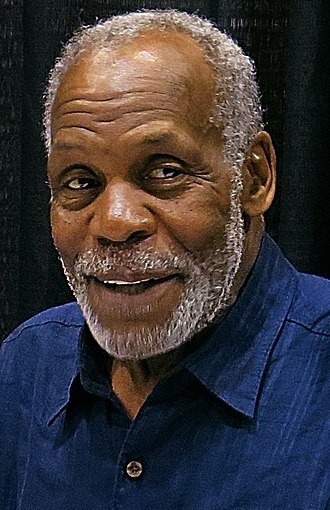 Both main actors of the movie, Carl Lumbly, and Danny Glover participated in Burnett's prior films, with Lumbly and Glover both appearing in To Sleep with Anger. The movie was filmed in Namibia and casting was especially difficult for Burnett because the over 200 speaking parts were mostly given to local Namibians, many of whom had differing dialects. The film was selected as an opening-night selection for the 2008 New York African Film Festival. Burnett has made many documentaries including America Becoming (1991), Dr. Endesha Ida Mae Holland (1998), Nat Turner: A Troublesome Property (2003), For Reel? (2003), and Warming By the Devil's Fire (2003) which was part of a TV series called The Blues. America Becoming was a made-for-television documentary financed by the Ford Foundation. The documentary concentrated on ethnic diversity in America, especially the relations between recent immigrants and other racial groups. Dr. Endesha Ida Mae Holland was a short documentary about a civil rights activist, playwright, and professor that fought hard to overcome obstacles caused by racism and injustice. Nat Turner: A Troublesome Property featured Burnett's actor and friend Carl Lumbly. The movie won a Cinematography Award in 2003 from the Long Beach International Film Festival. Warming By the Devil's Fire was an episode for Martin Scorsese's six-part compilation PBS documentary. Burnett worked as a producer for the documentary For Reel?. Burnett was involved in many shorts that include Several Friends (1969), The Horse (1973), When It Rains (1995), Olivia's Story (2000), and Quiet As Kept (2007). When It Rains follows the story about a musician that tries to assist his friend with paying her rent. Quiet As Kept is a story about a relocated family after Hurricane Katrina. Charles Burnett has directed many made-for-television movies, including Nightjohn (1996), Oprah Winfrey Presents: The Wedding (1998), Selma, Lord, Selma (1999), Finding Buck McHenry (2000), and Relative Stranger (2009). Nightjohn was adapted from a Gary Paulsen novel, and went on to premiere on the Disney Channel in 1996 to high praise. The story follows an escaped slave who learns to read and returns to his former home to teach others to read and write. Nightjohn was awarded the Vision Award of the NAMIC Vision Awards in 1997 and a Special Citation Award from the National Society of Film Critics in 1998, and was nominated for a Young Artist Award by the Young Artists Awards in 1997. Oprah Winfrey Presents: The Wedding was directed by Burnett, with Oprah Winfrey as an executive producer. Halle Berry and Carl Lumbly star in this drama surrounding the wedding of a wealthy African American woman and a poor white musician. Selma, Lord, Selma, a Disney movie, follows the story of a young girl inspired by Martin Luther King Jr. who decides to join the historic protest march from Selma to Montgomery. Selma, Lord, Selma was nominated for a Humanitas Prize in 1999 and an Image Award from Image Awards in 2000. Finding Buck McHenry is about a young boy who tries to discover whether his baseball coach is a former legend in baseball. Finding Buck McHenry won a Daytime Emmy in 2001, a Silver Award from WorldFest Houston in 2000, and a Young Artists Award in 2001, and was nominated for an Image Award in 2001. Relative Stranger was nominated for an Emmy in 2009, an Image Award in 2010, and a Vision Award from NAMIC Vision Awards in 2010. In 1988 Burnett won a MacArthur Fellowship for his work as an independent filmmaker. Burnett earned the Freedom in Film Award from the First Amendment Center and the Nashville Independent Film Festival. The award was given to Burnett to honor his commitment to presenting cultural and historical content that he felt needed to be discussed, rather than focusing on commercial success. Burnett was honored by the Film Society of Lincoln Center and the Human Rights Watch International Film Festival in 1997. In addition, Burnett was presented grants by the Rockefeller Foundation, the National Endowment for the Arts, and the J.P. Getty Foundation. 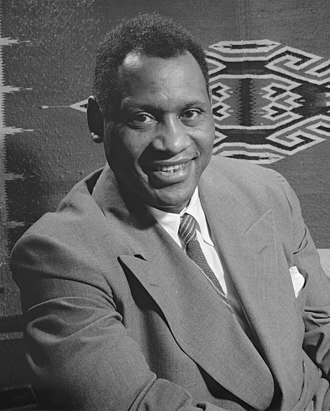 The prestigious Howard University's Paul Robeson Award was given to Burnett for achievement in cinema. To honor his achievements, the mayor of Seattle declared February 20, 1997, Charles Burnett Day. 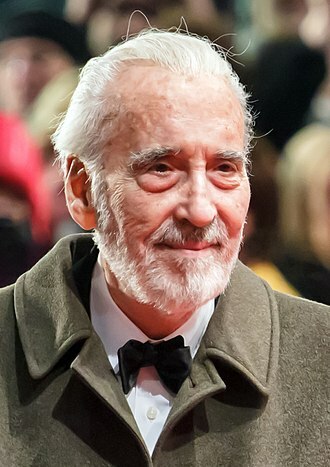 In September 2017 it was announced that Burnett was to receive a Governors Award – known as an "honorary Oscar" – from the Academy of Motion Picture Arts and Sciences. The recurring themes in Charles Burnett's work were primarily history's effect on the structure of family. 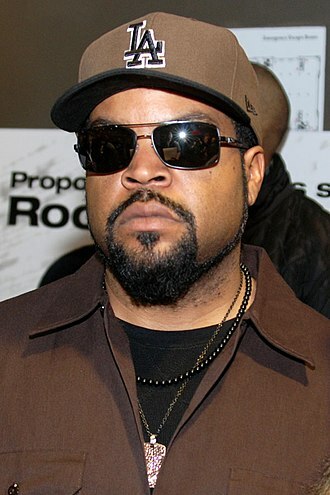 He also strived to make films about working-class African Americans that denounced stereotypes and clichés. Burnett has told critics that he makes films that deal with emotions coming out of real problems like maturity and self-identity. He also found a recurring theme in liberation and struggle perhaps after the influence from the UCLA's Third World Film Club that championed the revolutions occurring worldwide in the 1960s and 1970s. Burnett directed a film called the Annihilation of Fish (1999). Annihilation of Fish is an interracial romance film starring James Earl Jones and Lynn Redgrave that won the Jury Award from the Newport Beach Film Festival in 2001, the Audience Award at the Sarasota Film Festival in 2001, and a Silver Award at WorldFest Houston in 2000. Burnett and two other directors, Barbara Martinez Jitner and Gregory Nava, directed the TV series American Family. American Family was nominated for 2 Emmys and a Golden Globe Award and won many other awards. Burnett also acted in the documentary Pierre Rissient: Man of Cinema with Clint Eastwood. He is currently in pre-production on two films projects: The Emir Abd El-Kadir and 83 Days: The Murder of George Stinney. Charles Burnett is married to costume designer Gaye Shannon-Burnett. They have two sons, Steven and Jonathon. ^ a b c d e f g h i j k l m n A Film by Charles Burnett – Filmmaker. Killer of Sheep. Retrieved on 2011-07-04. ^ a b c d e f g h i j k l m n o p q r s t u v w Charles Burnett: Biography from. Answers.com. Retrieved on 2011-07-04. ^ a b c d e f g h i j Smith, Damon, "A Quiet Storm: Charles Burnett on Namibia and His Post-Killer of Sheep Career" (interview), Bright Lights Film Journal, April 30, 2008. Retrieved on 2011-07-04. ^ a b Hornaday, Ann (2007-06-03). "From L.A. Hotbed, Black Filmmakers' Creativity Flowered". Washington Post. Retrieved 2011-10-02. 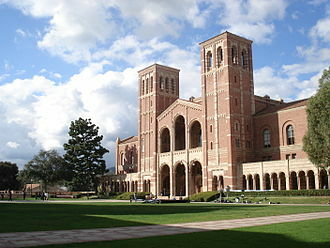 In 1967, after studying electrical engineering at Los Angeles Community College, Burnett arrived at UCLA to study film. For the next 10 years, UCLA students would develop a fecund, cosmopolitan and politically engaged movement that came to be unofficially known as the Los Angeles School of Black Filmmakers. ^ a b c d e Charles Burnett – Biography – Movies & TV – NYTimes.com. Movies.nytimes.com (1944-04-13). Retrieved on 2011-07-04. ^ a b c d e f g h i j k l A Film by Charles Burnett – About the Film. Killer of Sheep. Retrieved on 2011-07-04. ^ a b c d e f g h Film Index International Home Page. 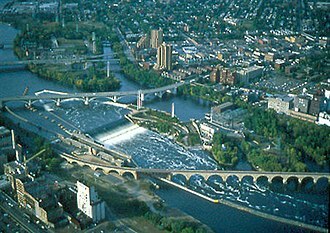 Fii.chadwyck.com. Retrieved on 2011-07-04. ^ a b A Film by Charles Burnett – Home. Killer of Sheep. Retrieved on 2011-07-04. ^ Killer of Sheep Press book. ^ a b c Charles Burnett – Profile – United States Artists – Great art forms here Archived February 1, 2011, at the Wayback Machine.. United States Artists. Retrieved on 2011-07-04. ^ Killer-of-Sheep – Cast, Crew, Director and Awards – NYTimes.com. 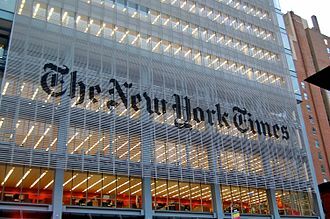 Movies.nytimes.com (2010-11-01). Retrieved on 2011-07-04. ^ https://www.loc.gov/programs/national-film-preservation-board/film-registry/complete-national-film-registry-listing/ | accessed 3/18/2018. ^ a b c d e Charles Burnett – Director – Films as Director:, Other Films:, Publications. Filmreference.com. Retrieved on 2011-07-04. ^ a b Movie Details – My Brother's Wedding – by: Charles Burnett Archived December 18, 2010, at the Wayback Machine.. Milestone Films. Retrieved on 2011-07-04. 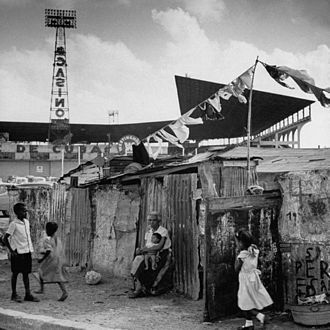 ^ "Charles Burnett - MacArthur Foundation". www.macfound.org. Retrieved 2018-10-06. ^ a b Taylor, Phillip Burnett accepts first Freedom in Film award Archived July 26, 2011, at the Wayback Machine.. freedomforum.org. Retrieved on 2011-07-04. ^ Ramos, Dino-Ray, "Governors Award Honorees: Donald Sutherland, Charles Burnett, Agnes Varda & Owen Roizman", Deadline Hollywood, 2017-09-06. ^ Miller, Chris (1998). "The representation of the black male in film". Journal of African American Studies. 3 (3): 19–30. doi:10.1007/BF02902936. Kleinhans, Chuck. “Charles Burnett.” Fifty Contemporary Film Directors. Ed. Yvonne Tasker. New York: Routledge, 2002. pp. 60–69. Print. Masilela, Ntongela. “The Los Angeles School of Black Filmmakers.” Black American Cinema. Ed. Manthia Diawara. New York: Routledge, 1993. pp. 107–117. Míguez López, María, and Victor Paz Morandeira (eds). "Charles Burnett. A Troublesome Filmmaker". Santander: Shangrila, Textos Aparte, 2016. Míguez López, María, and Victor Paz Morandeira (eds). "Charles Burnett. Un cineasta incómodo". Santander: Shangrila, Textos Aparte, 2016. "Watts." Encyclopædia Britannica. Encyclopædia Britannica Online. Wikimedia Commons has media related to Charles Burnett (director). Sierra Leone, officially the Republic of Sierra Leone, is a country in West Africa. It is bordered by Guinea to the north-east, Liberia to the south-east, Sierra Leone has a tropical climate, with a diverse environment ranging from savannah to rainforests. Sierra Leone has an area of 71,740 km2. Sierra Leone is divided into four regions, the Northern Province, Eastern Province, Southern Province and the Western Area. 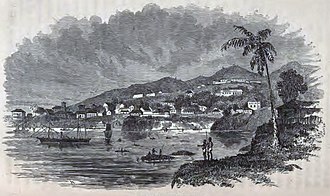 Freetown is the capital, largest city and its economic and political centre, Bo is the second largest city. The other major cities are Kenema and Koidu Town, Sierra Leone is a constitutional republic with a directly elected president and a unicameral legislature. Sir Milton Margai built his government based on democratic principles. Throughout his time in power, Sir Milton Margai was very popular across Sierra Leone, the main opposition APC, led by its leader Siaka Stevens, narowly defeated the ruling SLPP under the leadership of Albert Margai in the 1964 general elections. Stevens ruled for eighteen years in a government, in which his critics. Soldiers and politicians convicted of plotting a coup to topple Stevens were executed, under president Stevens, the APC was made the only legal political party in Sierra Leone, and all other political parties were banned, including the main opposition. Stevens handpicked successor, retired major general Joseph Saidu Momoh, lacked the political dominance of Stevens, Momoh reestablished the country as a multi party democracy in 1991. The current constitution of Sierra Leone was adopted in 1991 during the presidency of Joseph Saidu Momoh, the rebels started the civil war in 1991 in the eastern part of the country during Momohs presidency. Momoh was very unpopular, and Public anger against the Momoh government increasingly grew due to corruption, poor economy. In 1992 a group of officers in the army led by a 25-year-old captain, Valentine Strasser. In 1996 during the war, another military coup of soldiers within Strassers inner circle, led by a 32 year old Brigadier General Julius Maada Bio, toppled Strasser. Americans are citizens of the United States of America. The country is home to people of different national origins. As a result, Americans do not equate their nationality with ethnicity, although citizens make up the majority of Americans, non-citizen residents, dual citizens, and expatriates may claim an American identity. See Names for United States citizens. S, virgin Islands and Northern Mariana Islands in the 20th century. It includes influences of African-American culture, westward expansion integrated the Creoles and Cajuns of Louisiana and the Hispanos of the Southwest and brought close contact with the culture of Mexico. Large-scale immigration in the late 19th and early 20th centuries from Southern and Eastern Europe introduced a variety of elements, immigration from Asia and Latin America has had impact. 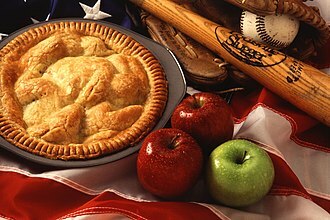 A cultural melting pot, or pluralistic salad bowl, describes the way in which generations of Americans have celebrated and exchanged distinctive cultural characteristics, in addition to the United States and people of American descent can be found internationally. As many as seven million Americans are estimated to be living abroad, the United States of America is a diverse country and ethnically. Some other race is an option in the census and other surveys, people of European descent, or White Americans, constitute the majority of the 308 million people living in the United States, with 72. 4% of the population in the 2010 United States Census. They are considered people who trace their ancestry to the peoples of Europe, the Middle East. Of those reporting to be White American,7,487,133 reported to be Multiracial, with largest combination being white, there are 29,184,290 White Hispanics or Latinos. Non-Hispanic Whites are the majority in 46 states, there are four minority-majority states, Texas, New Mexico, and Hawaii. In addition, the District of Columbia has a non-white majority, the state with the highest percentage of non-Hispanic White Americans is Maine. The largest continental ancestral group of Americans are that of Europeans who have origins in any of the peoples of Europe. Earth, Wind & Fire is an American band that has spanned the musical genres of R&B, funk, disco, rock and African. They are one of the most successful bands of all time, rolling Stone Magazine described them as innovative, precise yet sensual, calculated yet galvanizing and declared that the band changed the sound of black pop. The band was founded in Chicago by Maurice White in 1970, other members have included Philip Bailey, Verdine White, Ralph Johnson, Larry Dunn, Al McKay and Andrew Woolfolk. The band has received 20 Grammy nominations, they won six as a group, Wind & Fire have 12 American Music Awards nominations and four awards. Five members of Earth, Wind & Fire were inducted into the Songwriters Hall of Fame, Maurice White, Philip Bailey, Verdine White, Larry Dunn and Al McKay. The music industry and fans have bestowed Lifetime Achievement honors from the American Society of Composers and Publishers, NAACP, the kalimba is played on all of the bands albums. Two Earth, Wind & Fire classic songs have been inducted into the Grammy Hall of Fame, Thats the Way of the World, the band is known as having been the first African-American act to sell out Madison Square Garden and to receive the MSG Gold Ticket Award. President Barack Obama invited Earth, Wind & Fire to perform at the White House for the first social event of the new administration. The three friends got a contract with Capitol, they called themselves The Salty Peppers and had a marginal hit in the Midwestern area called La La Time. The Salty Peppers second single, Uh Huh Yeah, did not fare as well, and Maurice moved from Chicago to Los Angeles. He added to the band singer Sherry Scott and percussionist Yackov Ben Israel, on June 6,1970, Verdine left Chicago to join the band as their new bassist. Maurice began shopping demo tapes of the band, featuring Donny Hathaway, around to different record labels, Maurices astrological sign, has a primary elemental quality of Fire and seasonal qualities of Earth and Air, according to classical triplicities. Based on this, he changed the name, to Earth. 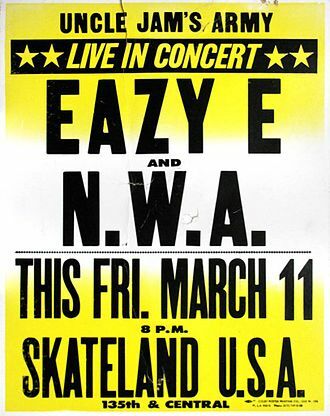 Maurice held further auditions in L. A. adding Michael Beale on guitar, Chester Washington on reeds, trombonist Alex Thomas completed the ten-man EWF lineup. The Los Angeles Police Department, officially the City of Los Angeles Police Department, is the law enforcement agency for the city of Los Angeles, United States. 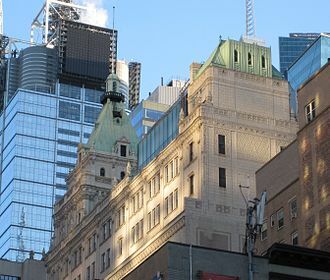 With 9,843 officers and 2,773 civilian staff, it is the third-largest municipal police department in the United States, after the New York City Police Department, the department serves an area of 498 square miles and a population of 4,030,904 people. The LAPD has been fictionalized in numerous movies, the department has been associated with a number of controversies, mainly concerned with racism, police brutality, and police corruption. The first specific Los Angeles police force was founded in 1853, as the Los Angeles Rangers, the Rangers were soon succeeded by the Los Angeles City Guards, another volunteer group. Neither force was particularly efficient and Los Angeles became known for its violence, the first paid force was created in 1869, when six officers were hired to serve under City Marshal William C. Warren. By 1900, under John M.
Glass, there were 70 officers, in 1903, with the start of the Civil Service, this force was increased to 200. 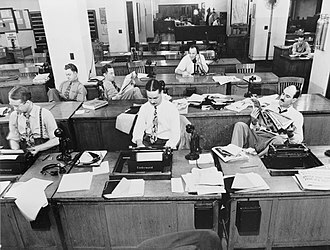 During World War II, under Clemence B, the overall number of personnel was depleted by the demands of the military. Despite efforts to maintain numbers, the police could do little to control the 1943 Zoot Suit Riots, Parker advocated police professionalism and autonomy from civilian administration. However, the Bloody Christmas scandal in 1951 led to calls for civilian accountability, under Parker, LAPD created the first SWAT team in United States law enforcement. Officer John Nelson and then-Inspector Daryl Gates created the program in 1965 to deal with threats from radical organizations such as the Black Panther Party operating during the Vietnam War era. The old headquarters for the LAPD was Parker Center, named former chief William H. Parker. The new headquarters is the new Police Administration Building located at 100 W. 1st St. immediately south of Los Angeles City Hall, the Los Angeles Board of Police Commissioners known as the Police Commission, is a five-member body of appointed officials which oversees the LAPD. The board is responsible for setting policies for the department and overseeing the LAPDs overall management, the Chief of Police reports to the board, but the rest of the department reports to the chief. The Office of the Inspector General is an independent part of the LAPD that has oversight over the department’s internal disciplinary process and it was created by the recommendation of the Christopher Commission and it is exempt from civil service and reports directly to the Board of Police Commissioners. The current Inspector General is Alexander A. Bustamante who was formerly an Assistant United States Attorney, the OIG receives copies of every complaint filed against members of the LAPD as well as tracking specific cases along with any resultant litigation. The OIG conducts audits on select investigations and conducts regular reviews of the system in order to ensure fairness. As well as overseeing the LAPDs disciplinary process, the Inspector General may undertake special investigations as directed by the Board of Police Commissioners, the Office of the Chief of Police is the administrative office comprising the Chief of Staff and the Employee Relations Group. The University of California, Los Angeles is a public research university in the Westwood district of Los Angeles, United States. 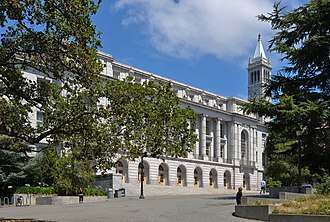 It became the Southern Branch of the University of California in 1919 and it offers 337 undergraduate and graduate degree programs in a wide range of disciplines. UCLA enrolls about 31,000 undergraduate and 13,000 graduate students, and had 119,000 applicants for Fall 2016, including transfer applicants, the university is organized into six undergraduate colleges, seven professional schools, and four professional health science schools. Fourteen Nobel laureates, three Fields Medalists, two Chief Scientists of the U. S. Air Force and three Turing Award winners have been faculty, researchers, or alumni, the university was elected to the Association of American Universities in 1974. The Times Higher Education World University Rankings for 2015–2016 ranked UCLA 16th in the world for academics, in 2015-2016, UCLA ranked 12th in the world by the Academic Ranking of World Universities and 31st in the 2016/17 QS World University Rankings. UCLA student-athletes compete as the Bruins in the Pac-12 Conference, the Bruins won 126 national championships, including 113 NCAA team championships, more than any other university. UCLA student-athletes and staff won 251 Olympic medals,126 gold,65 silver and 60 bronze, UCLA student-athletes competed in every Olympics since 1920 with one exception, and won a gold medal in every Olympics that the United States participated in since 1932. 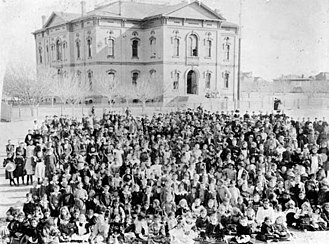 The State Normal School at Los Angeles opened on August 29,1882, the facility included an elementary school where teachers-in-training could practice their technique with children. 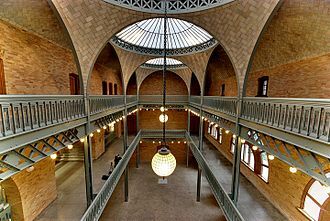 That elementary school is related to the present day version, UCLA Lab School, in 1887, the school became known as the Los Angeles State Normal School. In 1914, the moved to a new campus on Vermont Avenue in East Hollywood. However, David Prescott Barrows, the new President of the University of California, the same legislation added its general undergraduate program, the College of Letters and Science. After the athletic teams entered the Pacific Coast conference in 1926, the Southern Branch student council adopted the nickname Bruins, in 1927, the Regents renamed the Southern Branch the University of California at Los Angeles. In the same year, the state broke ground in Westwood on land sold for $1 million, less than one-third its value, by real estate developers Edwin and Harold Janss, the campus in Westwood opened to students in 1929. 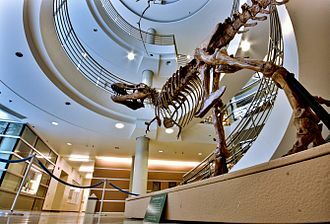 The original four buildings were the College Library, Royce Hall, the Physics-Biology Building, the first undergraduate classes on the new campus were held in 1929 with 5,500 students. A timeline of the history can be found on its website, during its first 32 years, UCLA was treated as an off-site department of UC. As such, its presiding officer was called a provost, in 1951, UCLA was formally elevated to co-equal status with UC Berkeley, and its presiding officer Raymond B. Allen was the first chief executive to be granted the title of chancellor. The appointment of Franklin David Murphy to the position of Chancellor in 1960 helped spark an era of growth of facilities. Blaxploitation or blacksploitation is an ethnic subgenre of the exploitation film, emerging in the United States during the early 1970s. Blaxploitation films were made specifically for an urban black audience. The Los Angeles National Association for the Advancement of Colored People head and ex-film publicist Junius Griffin coined the term from the words black, Blaxploitation films were the first to regularly feature soundtracks of funk and soul music and primarily black casts. Variety credited Sweet Sweetbacks Baadasssss Song and the less radical Hollywood-financed film Shaft with the invention of the blaxploitation genre, when set in the Northeast or West Coast, blaxploitation films are mainly set in poor urban neighborhoods. Terms used against white characters, such as crackers and honky, are common plot, Blaxploitation films set in the South often deal with slavery and miscegenation. 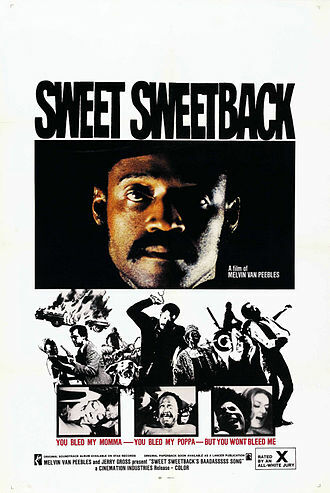 Blaxploitation includes several subtypes, including crime, action/martial arts, horror, nostalgia, coming-of-age/courtroom drama, following the example set by Sweet Sweetbacks Baadasssss Song, many blaxploitation films feature funk and soul jazz soundtracks with heavy bass, funky beats, and wah-wah guitars. These soundtracks are notable for a degree of complexity that was not common to the radio-friendly funk tracks of the 1970s and they featured a rich orchestration which included instruments such as flutes and violins, which were used in funk or soul music of the era. The genres role in exploring and shaping race relations in the US has been controversial, some held that the Blaxploitation trend was a token of black empowerment, but others accused the movies of perpetuating common white stereotypes about black people. As a result, many called for the end of the genre, the NAACP, Southern Christian Leadership Conference, and National Urban League joined to form the Coalition Against Blaxploitation. Their influence in the late 1970s contributed to the genres demise, the story world depicts the plantation as one of the main origins of boxing as a sport in the U. S. In the late 1980s and early 1990s, a new wave of acclaimed filmmakers, particularly Spike Lee. These directors made use of Blaxploitation elements while incorporating implicit criticism of the glorification of stereotypical criminal behavior. Blaxploitation films have had an enormous and complicated influence on American cinema and exploitation film fan Quentin Tarantino, for example, has made numerous references to the Blaxploitation genre in his films. An early blaxploitation tribute can be seen in the character of Lite, played by Sy Richardson, Richardson wrote Posse, which is a kind of blaxploitation Western. The parody Undercover Brother, for example, stars Eddie Griffin as an agent for a clandestine organization satirically known as the B. R. O. T. H. E. R. H. O. O. D. Likewise, Austin Powers in Goldmember co-stars Beyoncé Knowles as the Tamara Dobson/Pam Grier-inspired heroine, in the 1977 parody film The Kentucky Fried Movie, a mock trailer for Cleopatra Schwartz depicts another Grier-like action star married to a rabbi. In a famous scene in Reservoir Dogs, the protagonists discuss Get Christie Love, in the catalytic scene of True Romance, the characters watch the movie The Mack. John Singletons Shaft, starring Samuel L.
The West Wing is an American serial political drama television series created by Aaron Sorkin that was originally broadcast on NBC from September 22,1999, to May 14,2006. The West Wing was produced by Warner Bros, for the first four seasons, there were three executive producers, Aaron Sorkin, Thomas Schlamme, and John Wells. The West Wing received acclaim from critics, as well as praise from political science professors, in total, The West Wing won three Golden Globe Awards and 26 Emmy Awards, including the award for Outstanding Drama Series, which it won four consecutive times from 2000 through 2003. In the years since its run, it has appeared on lists of the greatest television dramas ever made. The Writers Guild of America ranked it #10 in its 101 Best-Written TV Series list, the West Wing employed a broad ensemble cast to portray the many positions involved in the daily work of the federal government. The President, the First Lady, and the Presidents senior staff, numerous secondary characters, appearing intermittently, complement storylines that generally revolve around this core group. Sam Seaborn is the Deputy Communications Director and he departs the White House following the re-election of President Bartlet to run for Congress. He is recruited to become Santos Deputy Chief of Staff at the series end, mandy Hampton is Josh Lymans ex-girlfriend and a media consultant contracted by the Bartlet administration. She departs without explanation following the first season, charlie Young is originally the Personal Aide to the President and a Deputy Special Assistant to the Chief of Staff. He is in a relationship with Zoey Bartlet, at the series end he begins to study law at Georgetown. She succeeds Leo McGarry as Chief of Staff and departs White House at the end of the Bartlet administration, post-series, she marries Danny Concannon and has a child. He is fired from the Bartlet administration during a leak investigation and he has twin children with his ex-wife who is a congresswoman from Maryland. Leo McGarry, Bartlets close personal friend and Chief of Staff, following a heart attack, he becomes Counselor to the President, and the Democratic Candidate for Vice President. The 47-second long The Kiss was one of the first films shown commercially to the public. The Corbett-Fitzsimmons Fight was both the first feature-length picture (running at almost 100 minutes) as well as film's first bona-fide financial success (grossing between $100,000-$750,000), sparking the earliest large-scale discussion about the medium. The Great Train Robbery used a variety of editing techniques that were becoming popular at the time of its release. Although not the first animated film, Gertie the Dinosaur became the first popular cartoon thanks to its creator Winsor McCay. 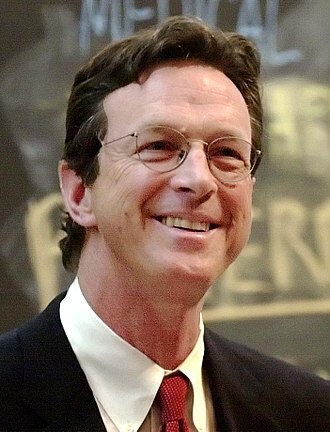 Michael Crichton, the show's creator. Chicago is the main plot setting of ER. Don Johnson epitomizing the dress style that became a hallmark of the series. Replica 1972 Ferrari Daytona Spyder (actually a modified Chevrolet Corvette), The car driven by Don Johnson in Miami Vice until the season three. 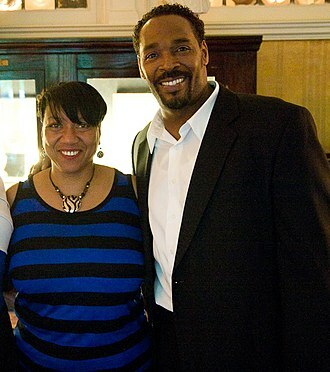 King with fiancée Cynthia Kelly in April 2012, two months before his death. Kelly was one of the jurors in King's civil suit against the city of Los Angeles when he was awarded $3.8 million. Fans dress as Margot and Richie at the 2014 Chicago Comic & Entertainment Expo. Rocky Statue, situated just northeast of the Rocky Steps. Conference of "World Union of documentary films" in 1948 Warsaw: Basil Wright (on the left), Elmar Klos, Joris Ivens and Jerzy Toeplitz.